CCTV systems for e-surveillance (to control, monitor & record any place, any time over internet or a network connection). Access control through biometric / smart card / proximity card / Retina scanner, restricts unauthorised entry, and offers attendance report. 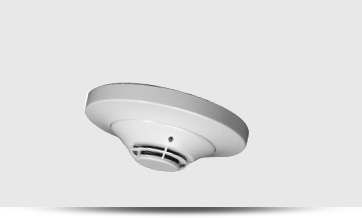 The offerings include a wide range of life safety systems( Fire Alarm and Fire Detection) from Notifier Inc., USA. For Fire Safety we follow NFPA’s(US Standards and UK Standards) and IS2189’s (Indian Standards) compliance. Very Intelligent Early Warning (VIEW®) smoke detection. Advanced laser light source and patented optical design. Built-in magnetic test switch, or automatic test Commanded from panel. Filter is easily field replaceable. High-performance filter removes particulates down to32 microns (32-micron inner filter and replaceable outer filter). Tolerant of external air velocity. Resistant to water vapor in applications where occasional non-direct water spray is performed. Automatically adjust sensitivity level without Operator intervention or programming. It is a complete monitoring and control of a NOTI.FIRE.NETTM network. In addition, it supports full panel programming and network diagnostics. 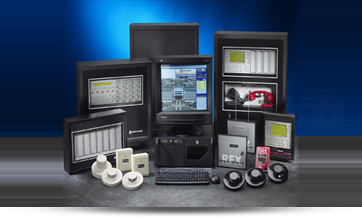 It enables ONYX® Series work station to monitor alarm, pre-alarm, trouble, disabled events, etc. for Notifier fire alarm control panels. Notifier " Maximum Approvals Fire System "
Made for pharmaceutical plants, hospitals, hotels, IT parks, airports and commercial buildings. perfect for critical applications like server rooms, Clean rooms and telephone exchanges etc. Dual technology, heat and photo smart detectors. Drift compensation, day & night sensitivity, maintenance alert, prealarm and alarm verification. Very high accuracy in detection using laser based technology. Spot sensors by pin-pointing location of alarm/smoke source. We provide complete solution of Fire Alarm System, Fire Detection and Smoke Detector System in Delhi, Bangalore and Hyderabad. We are best supplier of fire alarm, fire detection and fire protection system in India.